Think brown eyes are boring? Think again, sister. Brown is actually the most versatile and easiest eye color to enhance with makeup. Really? Yes! Of all the eye colors out there, brown easily goes with the largest variety of shades and colors. Don't believe us? We spoke to Tina Turnbow, New York City-based makeup artist and fellow brown-eyed girl, about the best ways to play up brown eyes. And she agrees that when it comes to color, nothing is off-limits for brown-eyed beauties! She went on to explain that the best way to spark interest in the eye area is by using color and application techniques in a subtle way. "Don't draw attention just to the makeup, but work with the colors to enhance brown eyes," Turnbow explains. 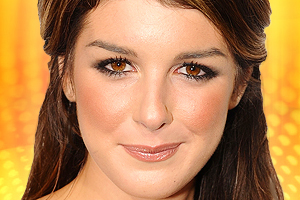 Of course not all brown eyes are created equal -- there are many unique shades of brown out there, which is why we rounded up photos of your favorite brown-eyed celebrities (of every shade of brown) who are wearing makeup looks that perfectly enhance their eyes. So whether your eyes are dark, chocolate brown like Eva Longoria's, or golden, honey brown like Beyonce's, you can easily make them pop with these expert color suggestions and application tips. I was always self-conscience about my brown eyes, but this article has helped me embrace my eye color. Thanks for the tips! wow i like this articles since it give u so many suggestion on how to make brown eyes stand out..also love that i have brown eyes because there r so many colors that goes well with it.. This make me love having brown eyes even more!